Great news for fans of Maverick, the 1950s TV series starring James Garner and Jack Kelly as Bret and Bart Maverick: it’s finally back on UK television, every day at 12.30 on TCM UK. I say “fans” of Maverick but in reality I mean “those perhaps aware of the 1994 movie but who are unlikely to ever have seen an episode of the TV show as it hasn’t been shown here in decades,” but that’s a bit clunky. I only noticed the repeat run after a bit of scrolling through the cable channels and a run through the TCM line-up, even though it’s not one I subscribe to. A quick email to TCM confirms that they have the rights to at least the first season, which debuted on US TV on 22 September, 1957. Although the website doesn’t make it clear where they’re up to, they will at some point be repeating the season again, going back to the first episode, The War of the Silver Kings. I’ve been slowly making my way through the series on DVD (sadly, it’s not officially available anywhere, these are off-air copies) and this initial run is hugely enjoyable stuff, with Garner finding his feet straight away as the charming gambler travelling the old West and finding trouble in every town. The series, created by Roy Huggins, who also gave us The Fugitive, was the first TV Western to add humour to its scripts, making it stand out from the glut of serious cowboy shows on American television. Rather than start a fight, Maverick will try to talk his way out of a bad situation, looking after himself as much as possible. Sure, he’s a coward, but he’s a living coward, which beats being a dead one. After a few episodes we’re also introduced to Bret’s brother, Bart, who’s up to the same game, only a few hundred miles down the road. Once in a while the Maverick’s team up to take on a particularly tricky foe, episodes such as The Wrecker and Trail West to Fury allowing Garner and Kelly to bounce off each other with the programmes trademark humour. The latter episode also features a guest appearance by Dandy Jim Buckley (Efrem Zimbalist Jnr), one of many fellow con men encountered by the pair during their adventures. The first few episodes are notable for the fact they were directed by Budd Boetticher, the famed B-movie Western director who reused many of the guest cast in his Randolph Scott collaborations, something I noticed while watching the Budd Boetticher Collection earlier in the year. The series isn’t just a series of one-liners, with a hefty dose of drama in amongst the humour and more than a few dead bodies. The show would also go on to inspire the creation of The Rockford Files in the 1970s and Garner played the character of Maverick in a sequel series, Bret Maverick, as well as making an appearance in Richard Donner’s 1994 big screen version, with Mel Gibson making a decent addition to the Maverick clan. In April 2011 I toured the Warner Bros set in Los Angeles, home to Maverick in the 1950s, and made a point of looking out for any signs of the show. 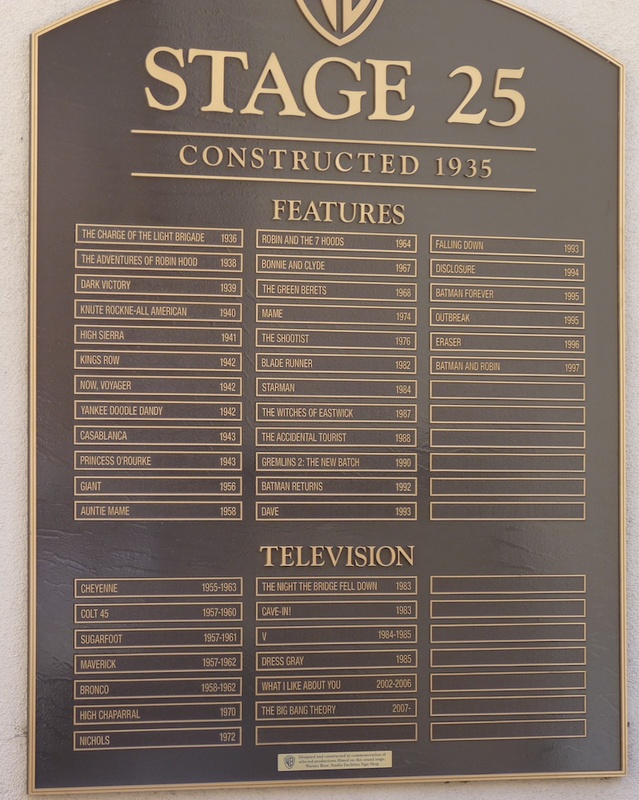 If you enlarge the photo on the right you’ll find a mention, along with some of the distinguished films and series which were crafted on Stage 25. That’s a long way of saying that if you have TCM I’d recommend tuning in one of these days. Unlike today’s TV series there’s no arc or ongoing plot that you won’t understand if you miss an episode, just good, old-fashioned, entertainment that hasn’t dated too badly. It’s taken me a while to mention here that James Garner has finally agreed to publish his memoirs in November. Simon and Schuster announced the news in March that The Garner Files: A Memoir is being written by Garner and author Jon Winokur, with the actor noting that he’d avoided writing the book before now because he feels he’s “really pretty average”. Garner went on to say “I’m still a little uncomfortable, but I finally agreed, because people I trust persuaded me people might be interested and because I realized it would allow me to acknowledge those who’ve helped me along the way. I talk about my childhood, try to clear up some misconceptions, and even settle a score or two”. This is a book I thought we’d never see, a chance to hear first hand about the life and career of one of Hollywood’s finest leading men (I’d suggest the finest). I’m interested to hear more about his time on Maverick in the 1950s and about some of those legal cases which saw Garner taking various film studios to court. Hopefully we’ll also get some insight into his own acting process and perhaps his theory as to why he was never quite on a par with Eastwood or McQueen when it came to starring roles. I’ve pre-ordered my copy from Amazon.co.uk, though it seems to be the US edition. I’m not sure if a UK edition is in the pipeline and I’d welcome any news on the subject. As an aside, I stumbled across this excellent new article which asks whether 2011 could see a reapappraisal for Garner, thanks to the release of the biography and a raft of new DVDs from Warner Archive. During one of my semi-regular YouTube searches for new James Garner or Robert Culp content (hey c’mon – back in the 60s and 70s people got these guys on the TV regularly, a fan in 2011 isn’t so lucky) I found this excerpt from a recent US documentary, Pioneers of Television: Westerns. Looking out for your favourite actor in an unfamiliar setting is nothing new, the chance to see them in a role other than their hit TV show or film usually a welcome one. The downside to being a fan of actors who enjoyed much of their fame in the 1950s, 60s or 70s, on TV and at the cinema, is that trying to track down their various TV movie exploits or guest appearances on other series can be tricky. Thanks goodness then for YouTube. While carrying out a periodic search for new James Garner and Robert Culp clips (we all do that, right?) I stumbled upon an episode of a US comedy called Angel from 1961, starring French-born American actress Annie Fargé as the lead character. With its title sequence looking like a dry run for Bewitched, which wouldn’t air for another four years, this short-lived CBS comedy from the creator of I Love Lucy found Fargé playing a heavily accented French woman, who now lives in America with husband Marshall Thompson. Hilarious escapades follow Angel as she battles with American culture, while the series keeps cutting away to commercial breaks, which even the actors are forced to take part in. The reason I mention the programme at all is that the February 23 episode, The French Lesson, features James Garner, playing himself. Garner needs to learn some lines of French for his new role, and Angel is recommended to him. His arrival turns Angel’s head, and she soon begins to think she too can become a famous actor, changing from meek housewife to glamourous wannabe in the space of 15 minutes. Garner, who had recently left Maverick but who had a number of film roles to his name, fits in perfectly to the set-up, his effortless style well suited to the sitcom role. This must have been an easy pay cheque for Jim, as there’s nothing particularly taxing about the role, he gets a few decent lines and it’s all over before it even began. Had he not decided to settle on a movie career, I suspect a role in a weekly sitcom would have suited him, something he did finally manage to do 40 years later, when he arrived in Eight Simple Rules as the grandad. James Garner. That’s the answer I always give when asked who my favourite actor is. Recently I had to try and justify this to someone who seemed to have some pretty major Garner prejudice. Although I like my films and telly, I do try to steer discussion onto other topics when meeting new people, at least for a while. On this occasion I mentioned James Garner, only to be told I was wrong. While trying not to appear too bothered with this slur, I felt I had to defend his honour in his absence. I like to think I did alright, even after a few Jack Daniels and cokes, but it left me thinking more needs to be done to raise the profile of America’s finest. The blog is dedicated to Mr James Garner: Bret Maverick in Maverick, The Scrounger in The Great Escape and LAs finest, Jim Rockford PI in The Rockford Files. His work and style epitomise everything I like in my entertainment. Heroes that aren’t black or white, but black and grey. Characters that would rather talk their way out of a situation than fight (who would have the guts to fight someone with a gun in real life? A Garner character would rather leg it). Humour that is understated rather than puerile or OTT. And a bit of realism in amongst the nonsense makes for good entertainment. For the lowly television actor, the road to movie stardom is one littered with casualties. For every Bruce Willis there’s a David Caruso, for every George Clooney a Matt Le Blanc. TV audiences will happily sit down each week to watch their favourite show/actor/actress, so why should they pay money to go to the cinema to see them in their latest artistic endeavour? For James Garner, the road has been something of a hazardous one. In 1956, Hollywood screenwriter Roy Huggins was working on an episode of anthology series Conflict. Huggins was in the stages of planning a new TV series, a Western different to the then-current glut of cowboy series. But he lacked a leading man. While casting for Conflict, Huggins saw a new young actor in action, one James Scott Bumgarner. 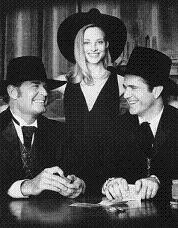 As Huggins remembers, “I really had stumbled on something wonderful, the rarest thing there is in Hollywood: an actor with an unerring instinct for a funny line.” That actor would soon change his name to James Garner. Born in Norman, Oklahoma on 7 April, 1928, Bumgarner had served in the Army in the Korean War. Injured and awarded the Purple Heart, he ended up in Los Angeles, taking supporting roles in a host of TV shows and commercials. At 6’1”, dark haired and with a knowing glint in his eye, he was prime leading-man material. Collaboration between Huggins and Garner led to the creation of the both the role and the character type that would define the actor’s career: Bret Maverick, reluctant hero and gentle grafter. Maverick brought something new to the Western genre: humour. The series divided its episodes between Garner’s character and his brother Bart, played by Jack Kelly. It soon became clear that Garner’s episodes were the more popular with audiences, his easy-going charm and laconic delivery of lines making him a primetime star. Then the movie people came calling. During summer filming breaks, Garner started to make his mark as a leading man. Roles in Up Periscope (1959) and Cash McCall (1960) were diverse enough to show Garner’s action-hero and romantic lead credentials, while the 1960s saw Garner’s film career take off. He was soon being offered scripts for a series of high profile pictures, including The Children’s Hour (1961), a complete tonal shift from most of his other work, The Thrill of it All (1963), second-billing to Steve McQueen in The Great Escape (1963), The Americanization of Emily (1964) and Support your Local Sheriff (1969). Most of these films allowed Garner to hone the characterisation of the relaxed, combat-shy Everyman, who’s idea of living an easy life is interrupted by events around him. While Robert De Niro may eschew the virtues of method acting, the ability to sustain a note perfect, reliable and audience-friendly character through each of his movies meant that Garner was seen as a safe pair of hands. If the 1960s were a golden period in Garner’s film career, the 1970s brought new demands. Ironically, it was one of Garner’s friends and TV contemporaries, Clint Eastwood, who would help define the era in such films as A Fistful of Dollars (1954) and Dirty Harry (1971). Garner tried gamely to respond to this with A Man Called Sledge in 1970, a spaghetti western in which he played against type. His own production company helped him develop more personal films, such as Skin Game (1971). 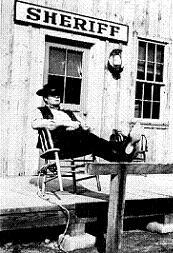 It was as a cowboy that Garner had made his mark, and a cowboy it seemed he would remain. He returned to TV briefly in semi-western Nicholls (1971-1972), which bombed with viewers and critics, before making some little-remembered movies that didn’t appear to tax him. Saviour came in 1974 from an old collaborator, in the shape of Maverick’s Roy Huggins who, had decided to do for the detective series what Maverick had done for Westerns. The Rockford Files brought something new to the genre of private eyes, and was to all intents an updating of Garner’s previous persona for a new generation. This return to the small screen would revive his career once again. Garner was once quoted as saying, “When I left Rockford in 1980 I decided I want to do films that have interesting characters, people with human emotions and feelings and I’ve been very fortunate to do that.” This seems to sum up much of his film career post-Rockford. Cinema beckoned again with films such as Victor Victoria (1982) and Murphy’s Romance (1985), for which he was Oscar-nominated. He would go on to produce some of his most interesting performances in a number of acclaimed TV movies for which he was Emmy nominated, such as My Name is Bill W (1989) and Barbarians at the Gate (1993). An appearance in the movie version of Maverick (1993) could be seen as something of a closure for the Maverick character, a dovetailing of his TV and film careers. While it’s fair to say that Garner never had the cinematic draw of Clint Eastwood, his failure to break into the Hollywood A-list often attributed to his ‘safe’ persona that lacked the edge offered by contemporaries such as Steve McQueen, his presence has always been a sign of quality. More recent appearances in films such as Space Cowboys (2001), Divine Secrets of the Ya-Ya Sisterhood (2002) and The Notebook (2004) have cemented his position as a respectable, dependable actor from old-Hollywood. His return to primetime television in family comedy Eight Simple Rules in 2004 showed that the small screen wouldn’t let him go and that perhaps that’s just the way he likes it.